C.E. Credits will be awarded at the end of the workshop. What Makes Our CE Workshop Better? We understand that your business is about more than just Insurance and Investments! As a result, our workshop provides you with inter-related and relevant topics that are guaranteed to boost your business. Personal growth and development prepares you to create new opportunities and achieve more success. Our objective is to provide you with strategies, ideas, tools, and systems for permanent, positive, lasting change, for the benefit of your clients. Your governing bodies demand Verifiable C.E. Credits. Our program is accredited for Verifiable Continuing Education Credits. You will receive your CE Credit Certificate at the end of the day following the workshop completion. you don’t just sit there and listen to topics that are irrelevant to your business! An interactive classroom-style workshop, designed specifically for Insurance and Financial Advisors. 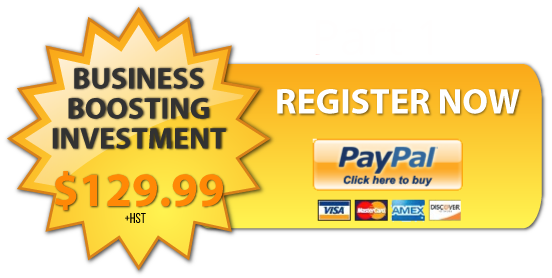 For attending this live workshop with us, you'll receive a certificate for 7 Verifiable C.E. Credits for each part you attend. Our Live interactive workshop has a maximum seating capacity of 16 seats for maximum results. Plan to Earn Your CE Credits Now and Avoid the End of Year Panic! Who should attend this exclusive workshop? Advisors who want to uniquely enhance their reputation, differentiation and ability to satisfy client needs! Advisors who want to get more great new clients, increase referrals, grow their business, and increase the value of their business! Advisors who want to remove negativity out of their life and replace it with positivity! Advisors who want to BOLDLY go far beyond his/her capabilities in order to win! 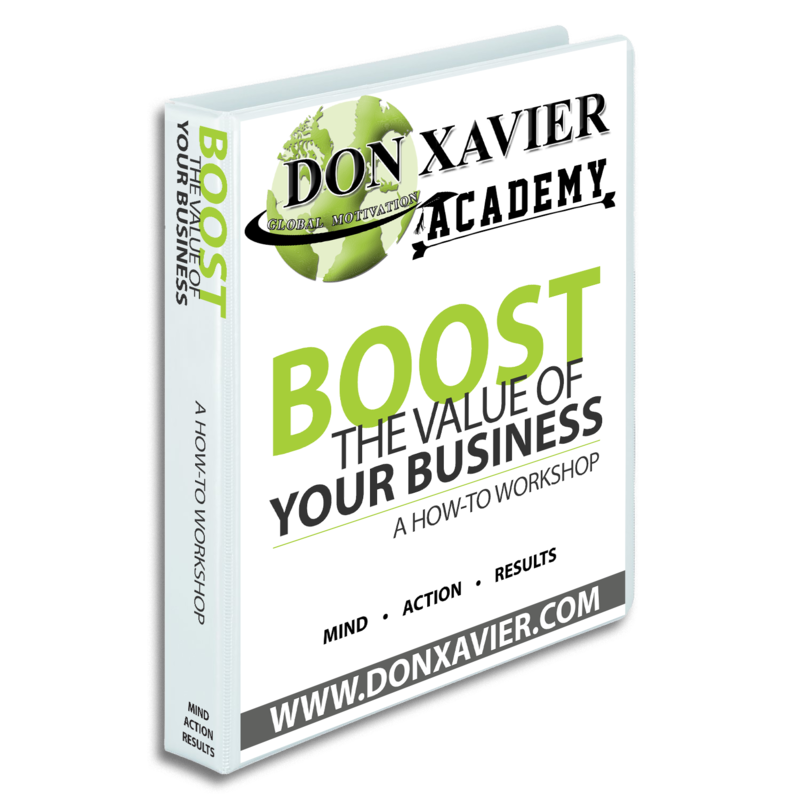 Increase your financial sales, leadership & management skills, psychology of selling, and business planning through Don Xavier's Training. These seminars sell out so don’t delay, register now! *Note: Advisors are responsible for ensuring that CE credits are applicable to the individual regulatory, licensing, designation, and professional membership bodies under which they are governed. You will receive your CE Credit Certificate at the end of the day following the workshop completion.